What to do when working from home loses its luster. Working from home can also be monotonous, boring, or even downright counterproductive. Seeing the same exact scenery day in and day out, seldom leaving the house except to walk your dog around the same block, grabbing the same ingredients from the fridge for yet another lunchtime sandwich, or being constantly distracted by laundry, cleaning, visitors, needy pets, or just the clutter of your own workspace. Sometimes you just need to get out of the house! I have come to realize over the years that I am complicated and needy when it comes to productivity and creativity. Finding a place that matches or enhances my mood has become an absolute necessity if I am to feel productive and accomplished by 5pm. My backyard office (via Unsplash) | The K3 office (via Unsplash) | Interior of Emberfuel, a local co-working space. Some days I seek out quietness and solitude, such as our dedicated office space in town which remains predominantly empty as we are all remote (a.k.a. work-from-home) employees. If the office is already in use or if I just don’t feel like dressing up enough to go into town, I may move to another location in my house, such as a window seat or comfy couch, just for a slight change of scenery. These spaces work well when I really need to hunker down and focus. I’ll often pair the move with closing down noisy or distracting apps such as Slack, Station (housing my Gmail and Asana accounts), and personal Chrome windows. Other days I may seek out the feeling of coworker camaraderie by going to our in-town office while others are there, popping into Emberfuel, a local co-working space, or just logging into Swivel and setting the background hum of busyness to just the right level. Connecting with other people who are also getting work done helps me know that I am not alone in my efforts to be productive and gives me a sounding board for any work-related thoughts, ideas, or frustrations. Occasionally I may seek out the energetic din and hubbub of life on the street, setting up shop in a local café, eatery, or just a bench on the sidewalk within range of free Wi-Fi. Such locations generally require headphones and a good lyric-less playlist to tune out any recognizable bits of passing conversations. I choose these locations when I’m feeling like it’s been a while since I’ve “seen the world” or when I just need the energy and vibrancy of city life to help inspire my creativity or to push me through a difficult or draining task. 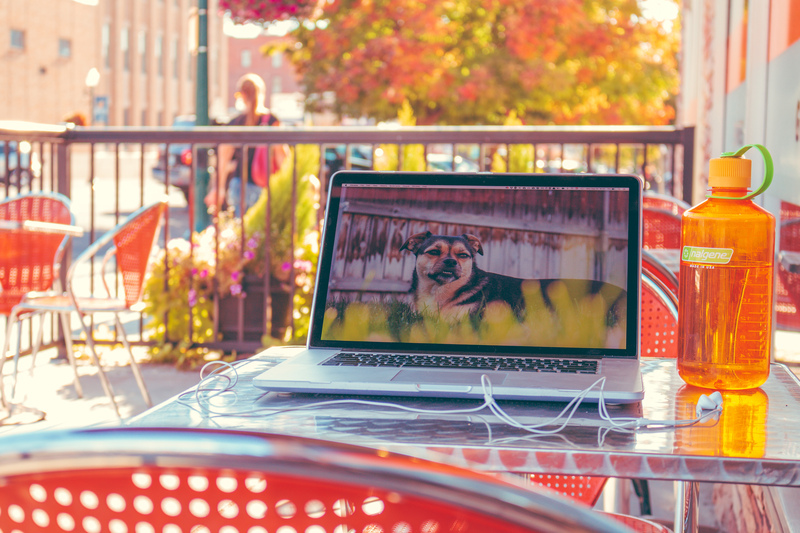 Working remotely does not mean being tied to the desk in your home office. Different tasks may benefit from different work environments. If you don’t have access to a dedicated office space, a co-working space, or even a lively town or city, just moving around within your own home tends to help. Try working from a couch, or laying on the floor, or from a deck chair outside, or from the roof of your building. It may help to have a video or voice call with a coworker or friend who’s also being productive. I have found that finding the right setting for my mood and the task at hand can make all the difference in the world. Do you work remotely? What productivity or inspiration inhibitors have you found with your home workspace? Where do you go to feel productive? To feel creative? To feel energized? To feel connected? Let’s have a conversation on Twitter.